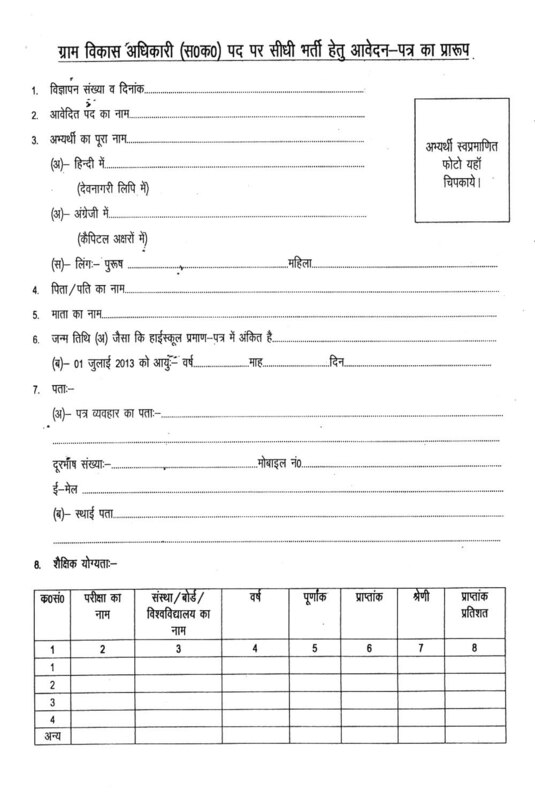 Directorate of dir Samaj kalyan published the notification Advertisement 881/SK/ Samooh G bharti / 2013-14 on 29 July 2013 for the recruitment of Gram Vikas Adhikari or Village Development officer VDO posts. Candidates are advised to applied in prescribed application form format which is published with notification. Education Qualification: Intermediate pass or its equivalent. Application Form Fee : there are no application form Fee for VDO posts. I m Bca student can I apply this post .I have not CCC certificate but I have bca, mca degree in computer.